Simple, slightly crunchy, awesome tofu that meshes well with any salad and dressing combo. Press tofu between two plates wrapped in paper towel for 15 to 20 minutes. Drain off water from pressed tofu and slice into cubes. 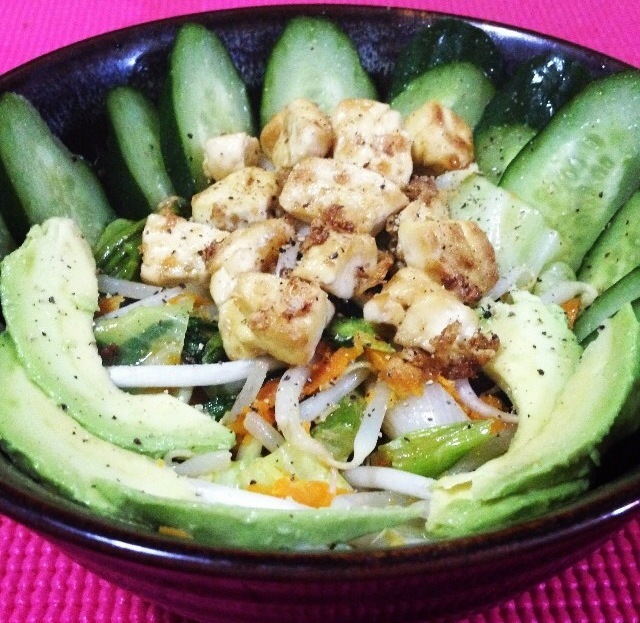 Toss tofu cubes with melted coconut oil, sesame oil, tamari, and black pepper. Place tofu cubes on baking sheet covered in greased aluminum foil or parchment paper. Roast for thirty or so minutes, turning once. Eat or store in airtight container in fridge for up to three days.